Before you throw down some turf or plonk some flower pots on the balcony, it’s a good idea to have a plan. 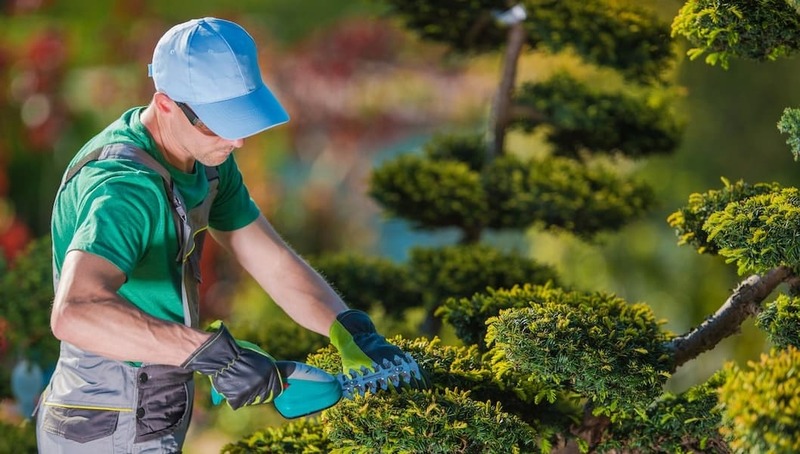 The following list can help you decide on five strata garden decor items you can add to your garden. Garden art or decor items can be any treasure you find in your overseas wanderings, at garage sale or on gumtree. It could be an ornament, pot plants, garden furniture or something you buy or make. Whether you live in an apartment and have a little garden on the balcony or a townhouse with a yard, garden decor can add character, and it gives you a chance to express your creativity. Before you throw down some turf or plonk some flower pots on the balcony, it’s a good idea to have a plan. Do a sketch of garden’s dimensions, jotting down where the sunny or shaded areas are located, if you’d like a pond or water feature, and where the garden furniture and other decorative items will go. A fountain with the calming sound of trickling water is an irresistible lure in any garden, and the liquid soundtrack can be perfect for a plot of pansies or placed among the agaves. A water feature on your balcony, or a fountain and a pond can add a sense of peace and tranquillity. The pond or fountain should be the focal point of the landscape, and there are many different sizes and styles to choose from. If you want to add a pond in your backyard or front garden, leave at least half metre or so walking border around. For strata owners with lots of outdoor space, an old wrought-iron gate can be a fabulous entrance into a garden. Hang some lanterns in a tree, place a birdbath (providing you don’t own a cat) among the Cosmos and an inviting curved bench beneath a shade tree. If you put these items in place with care, they can be practical and attractive, but the trick with decorating a garden is not to overdo it. Whatever the style of your home or apartment, ornaments can carry it into the landscape creating a seamless interaction. Iron urns can be set up on terracotta pedestals. Ornaments with the patina of antiques can make a new garden appear well established. Oh, and garden gnomes are back. Stone pavers against a green lawn can soften the stroll to the front or back door of the house. Line the path with some tasteful solar lights to give the garden a magical touch at night. For a garden with patina, stone benches, pots, or statues add a grounding, earthy element to a garden, and the same goes for wooden furniture. 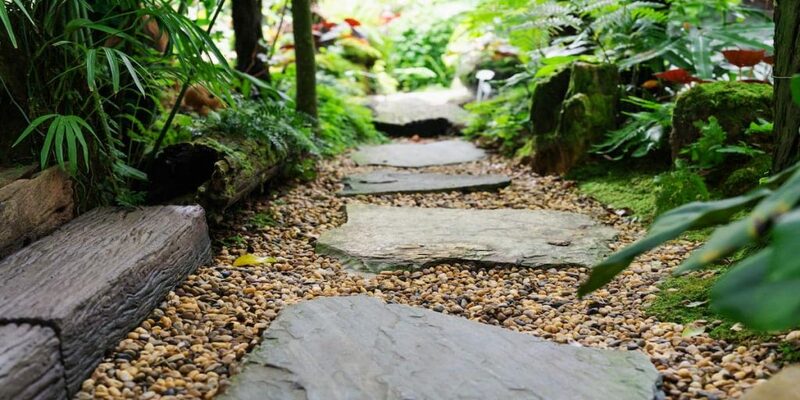 Instead of pavers, why not call on nature and use smooth stepping stones along a meandering pathway to add a playful, yet mindful energy. Add a stone Buddha or turtle among the agapanthus plot for more meditative elements. Clump some perennials such as geraniums in stone or ceramic pots. Choose about six geraniums for an average sized garden – one or two for a balcony. Group plants of similar colours to give your landscape a more professional and cohesive look. Hang different coloured gumboots or old shoes on the back fence and fill them with plants or succulents. Line pathways with solar lights. Think about ceramic angel planters and snails pots and a sundial. 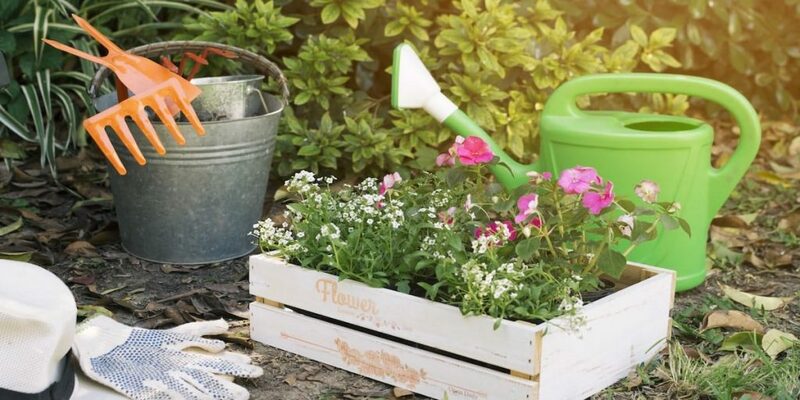 Hang potted flowers all over a rusty old bicycle, or fill the holes cut in a hollow log with potting mix and let your imagination go wild with the flowers you plant there. Potted citrus trees and bougainvillea, and palms can accent an entrance. The garden furniture should never look contrived or too perfect but what you select should fit in with the rest of the decor. A cosy wicker sofa and a classic rocking chair stocked with squishy cushions will make your patio or garden area a great retreat. Consider the outdoor-living opportunities in pocket townhouse gardens and balconies. Create a sequence of spaces and connect them with pathways to add mystery. Paths can show the way through rosy arches and iron gates perhaps to a wooden bench beneath a blooming wisteria-covered pergola. The most important thing to remember, especially in tight small spaces, is not to overdo it. Happy Gardening! Alex Morrison has worked with a range of businesses giving him an in depth understanding of many different industries including house cleaning, financial support and health care. As the owner of Integral Media, he is now utilising his knowledge and experience with his rapidly increasing client portfolio to help them achieve their business goals.